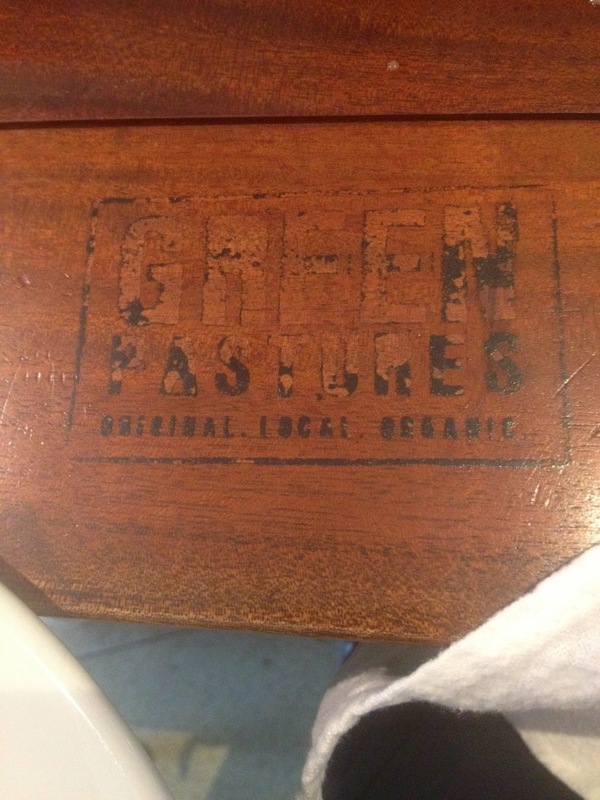 I finally FINALLY got to try Green Pastures and I super loved it, looooooooved it! I know, I am gushing - but in all seriousness, I really really liked the meal and the service. It's been open for a long while now, but since we were always battling the Sunday lunch crowd - well, it was always that we were the 10th in line or so. And a few weeks ago, we finally got to try it! To be honest, that Sunday I wasn't too keen on being able to dine in Green Pastures - I left my name and number but since my Panget deemed it was still too early for lunch, we walked to Rustan's first. It was when we got out of Rustan's that my Panget told me that he wanted to try our luck in Green Pastures - and since there was a Mass ongoing - I told him to hurry, because in less than a few minutes the lunch crowd would be surging! I think I was brisk walking - I was so scared to be left behind since I really wanted to try the restaurant. We got there just in the nick of time - PERFECT actually! So we placed our orders. Our server Wilton has very good! He is charming and very knowledgeable on the menu and I like that. He was also very attentive to our needs. So here are what we got, please forgive the photos!! 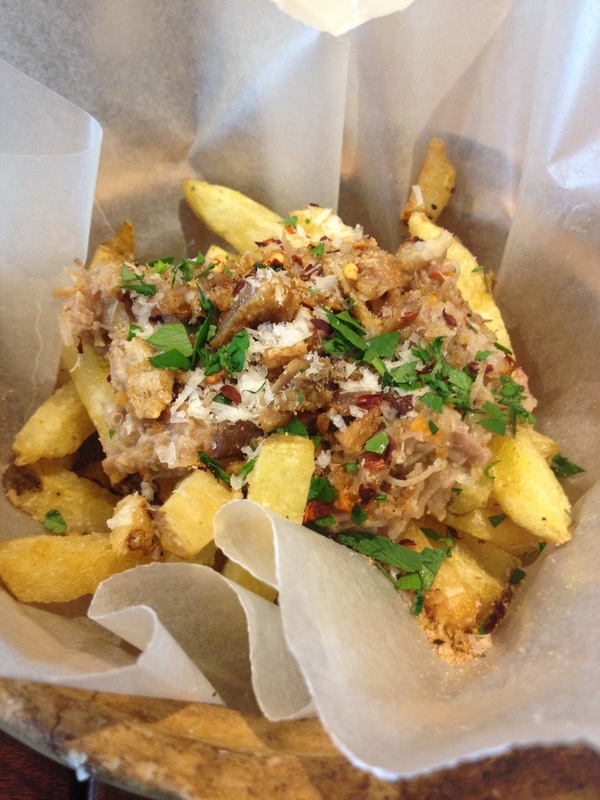 Duck YOU, Duck You fries!! I loved this (since I am a fan of fries) The kids loved it too! I can eat just this! Thus, next time - I'll order it again, in 2s! Hahaha.. This is the MOST refreshing salad that I have ever came across. The portion looked small if you ask me, but when you mix it up and start eating - it seemed neverending! Hahaha. Am I making sense? It seemed like the salad was not depleting! My Panget and I had a hard time finishing it! I shared this to the Yayas and they loved it as well! This was not the prettiest (of all the food that we ordered). The taste was also so-so but I guess since it was organic, it was healthier. Kailee and Connor ate this and they liked it. I think it lacked a punch but then again, what do I know right? Haha! I think I would have preferred the fried chicken version. To be honest, I forgot why its called 80/20 but I don't care anymore because it was soooooooooo good! I mean really really really good! And to think that I had only 2 bites. 2 bites! It was because my Panget wasn't sharing with me. He ate it all! The cumin sauce/dip was sooo good too! I love Cumin! My Panget was so in love with the taste that he REFUSED to share with me! I had to beg for those 2 bites! Hahaha. It's really funny because when it was served, my Panget was all wanting to be proper and didn't know how to eat the burger - he then decided to use a for and a knife and then later on just decided to eat it with his hands! And I think that made the meal more enjoyable for him. Made the burger dish more good! Hahaha.. It's the mess, you see! When it was served, I was thinking - WTH? It looked so sad! But I guess looks can be deceiving because the way I ate it made all the difference! Hahaha.. I had to cut up the really yummy bacon and then place it on the pasta before I put it in my mouth. Such joy and wonder this little taks makes! Its so good! If you're one who enjoys the meaty bacon, then you have to try this! I loved the bacon, it's the real bacon! Macho bacon. So there you have it! I had such a wonderful wonderful time. Our server Wilton made the experience even more enjoyable. He was always asking us if we needed anything - wonderful customer service right? He was trained very very well. I know this is late, but Congratulations Chef Robby Goco! You did it once again! Aww... I'm so inggit, I still haven't tried Green Pastures! >.< Whenever we're at Shangri-la Plaza, we always see Green Pastures packed! Will try to convince the bf that we go to Shang in the morning next time, so we can secure a table. 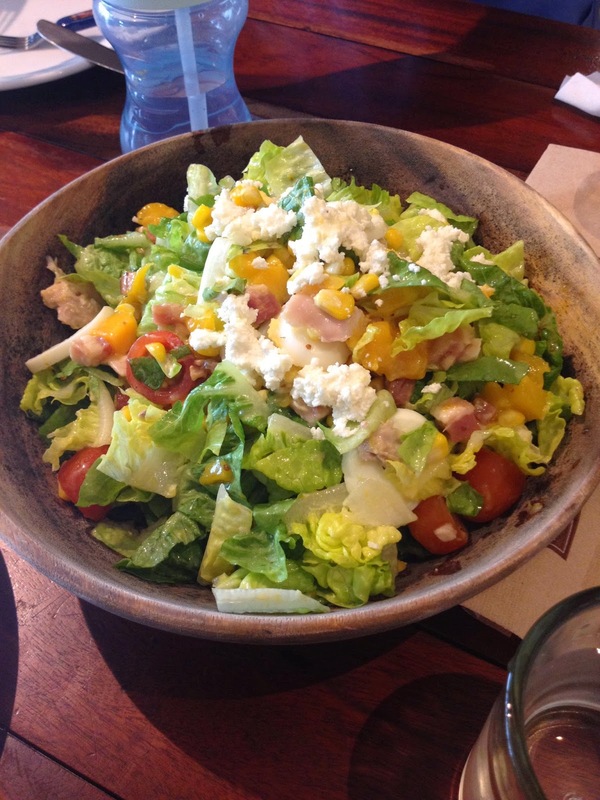 Do get the Farmhouse Salad and the 80/20 burger! Winners siya!! Panget - kasi he calls me that, and he doesn't want to be named in this blog - so as revenge I call him that. What's funny is that blog friends call him as Panget! I get asked 'Asan si Panget? Is Ahia Panget with you?' hahaha!! It stuck na!! See you around Shobe Sumi!!! OOh!! Ok rin pala the drinks! Hahaha.. I shy away from drinks most of the time in restaurants because I know they're very expensive! Hahaha.. Will try next time.. Sana maulit ang Green Pastures adventure!! Thakns for the heads up Michymichymoo!! A B & Me features, Me!!! Manam, formerly Namnam is Manamnam!